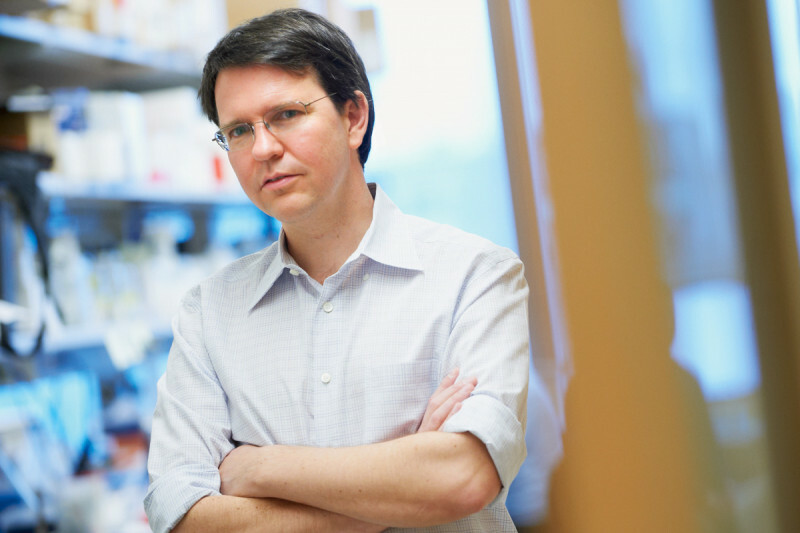 Cancer biologist Hans-Guido Wendel focuses on modeling the genetics of tumor initiation, progression, and treatment response in vivo. We spoke with Dr. Wendel in 2011. Growing up in Aachen, a small city in western Germany famous for its hot springs, I was not especially focused on becoming a biological scientist. I was interested in many other things, including literature and physics. As I completed my undergraduate degree, medicine seemed interesting and varied enough — it involved science, but also patient contact. I enrolled in medical school at Aachen University and became drawn to physiology and biochemistry. I received part of my clinical training in Edinburgh, Scotland, where I treated a variety of patients, delivered babies in remote villages, and became an expert on single malts. Back in Germany, I did a residency in clinical hematology and oncology and was struck by the limited and often toxic treatment options for cancer patients. A doctoral thesis on drug resistance prompted me to dive into the science of cancer, starting in the lab of [Memorial Sloan Kettering Cancer Center Member Emeritus] Frank Sirotnak, who was developing drugs that would become “trapped” inside cancer cells long enough to trigger the death of the cell, including a new therapy for T cell lymphoma. I was impressed by the quality of science here and was also exposed to novel scientific approaches by excellent guest speakers. Among them was Scott Lowe, then of Cold Spring Harbor Laboratory, who developed great models of leukemia and lymphoma and used them in genetic and therapeutic studies that immediately appealed to me. I pursued my postdoctoral fellowship in Scott’s lab, studying genetic changes in the development of cancer, how they affect responses to treatment, and how such knowledge might be used to improve cancer therapies. Once we learn a tumor has targeted a gene to block a signal or shut down a certain pathway, we can investigate whether restoring that lost function could become part of a new therapy. When it was time to start my own lab, Scott suggested going where scientists were doing work I found exciting. Looking through my stack of journal articles, I realized a lot of those researchers were at Memorial Sloan Kettering. The focus on cancer genetics and its translation into therapies in the CBG Program was unique and exactly what I wanted to study, so I was excited when I was asked to join the faculty. I set up my lab here in 2007. Recent advances in genomics technology have transformed cancer research. We can now do large-scale studies, sequencing every gene in a cell and analyzing other molecular changes. This has produced an avalanche of data and is beginning to shed light on the myriad genetic aberrations that occur in cancer. For example, cancer cells often lose large parts of their chromosomes, silence and mutate several hundred genes, and change the expression of various RNA molecules. Currently, these new data are largely descriptive, and the next challenge is to make sense of it all. Which of these changes are actually driving the cancer? Which are required to maintain cancer cells? And can we then figure out ways to reverse the changes in the form of a new cancer therapy? My laboratory now focuses on defining biological functions of the most common genetic abnormalities seen in leukemia and lymphoma. We perform genomic analyses on patient samples and use experiments with cell lines and mouse models to identify the most important cancer genes. Once we learn a tumor has targeted a gene to block a signal or shut down a certain pathway, we can investigate whether restoring that lost function could become part of a new therapy. RNA interference (RNAi) is another revolutionary technology that allows us to silence one gene at a time or screen libraries of RNAi molecules to identify which genes really matter. We can use this technology to identify tumor suppressors — genes whose inactivation can lead to cancer — or turn the tables and use it to learn which genes a cancer cell cannot do without. A study we published in Cell in October 2011 demonstrates the potential of this approach. [PubMed Abstract] Genomic studies on cells from patients with follicular lymphoma pointed us to a large chromosomal region often lost in lymphomas. Elisa Oricchio, a postdoctoral research fellow in my lab, constructed an RNAi library to ask which genes the lymphoma cells were trying to inactivate by losing part of a chromosome. She identified the gene EPHA7 as a tumor suppressor and then developed new ways to bring the EPHA7 protein back to the lymphoma cells. This therapy kills lymphoma cells in vitro and in a mouse model, illustrating the promise of combining descriptive tumor genomics with functional genetic screens to produce a possible treatment. Genomic data on many cancers that are only now becoming available will keep us busy for a while. Clearly, new technologies are developing that we can apply to cancer research, and Sloan Kettering Institute provides an excellent research environment to accomplish this with colleagues who provide new inspiration and complementary expertise.